Hello! Super quick post tonight but I wanted to share a card that I made with a SSS Kit I received a couple of months ago! 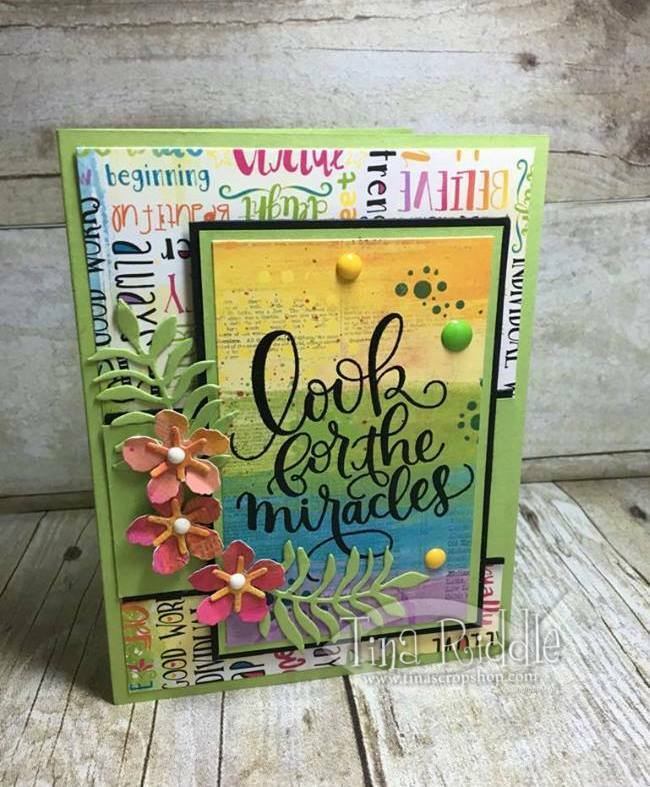 When I saw Can You Case It's Challenge #139 - Rainbow of Color I knew that it would be a great chance to get my SSS Look for the Miracles Kit out a play a little on a beautiful Sunday afternoon! 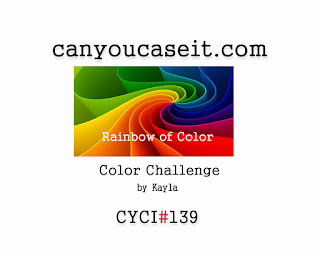 First here is the Challenge Badge so you can head over to CYCI and check it out! 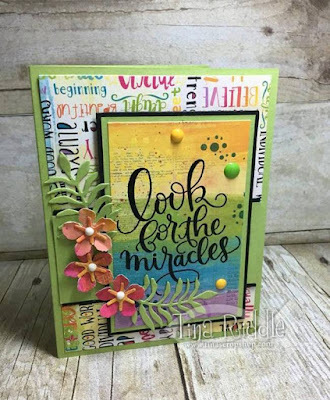 The awesome kit included the SSS stamp set called Look for the Miracles as well as some Bo Bunny Paper called "Believe" and lots of awesome bright and colorful cardstock. Even the enamel dots were part of the kit. I heat embossed the awesome sentiment with Black Wow Embossing Powder onto one of the Rainbow looking Bo Bunny papers. I used the same paper to cut out my flowers from the SU Botanical Blossoms Framelit Dies. Wow, your card is amazing! Stunning compilation!! !